This is a Tag, but I added magnets to the back so I could use it on the refrigerator. 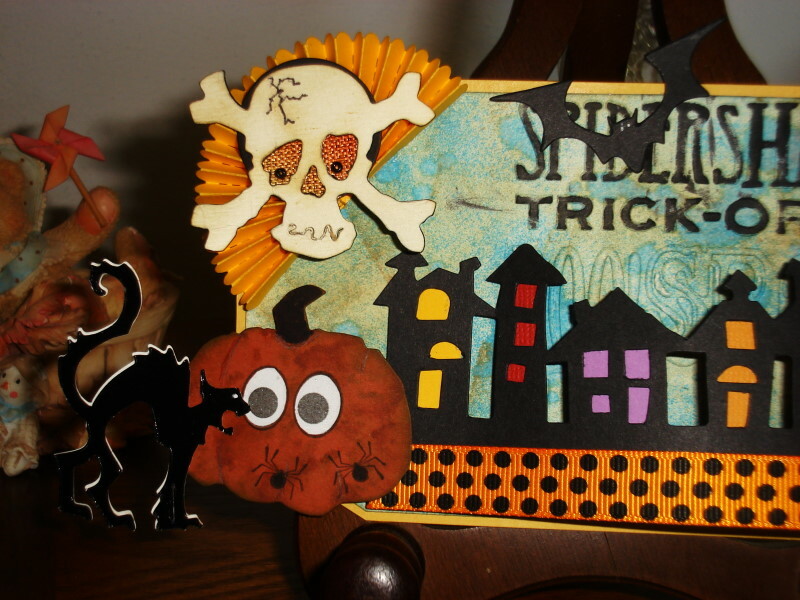 Using the Tim Holtz Dies and a Sizzix embossing folder, this little Halloween village was made. My Tree die is from Memory Box, I even added some TP to the tree. Thanks for the visit today, hope you have time to play. 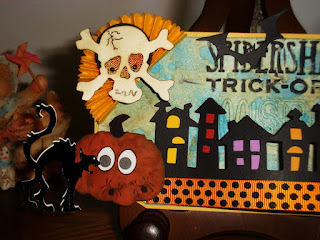 What a great idea to make this fabulous tag into a magnet! 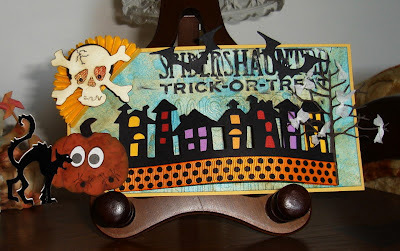 Just love all the Halloween elements you used in this really cool tag! Always love visiting you, in more ways than one! I am also working on a Halloween (kind of tag), which I think is my favorite theme! Love your new blog photo! Hugs, GF! So cute!! Love the row of houses with the colour in the windows - looks great!! 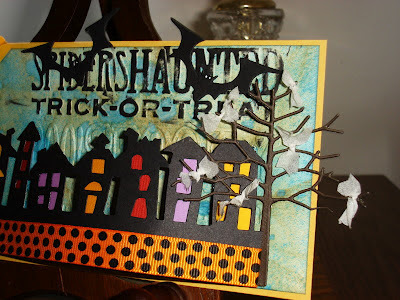 Love how you lit up the houses... what a great tag! So sweet Vada, Loved how you added different color windows to each house. 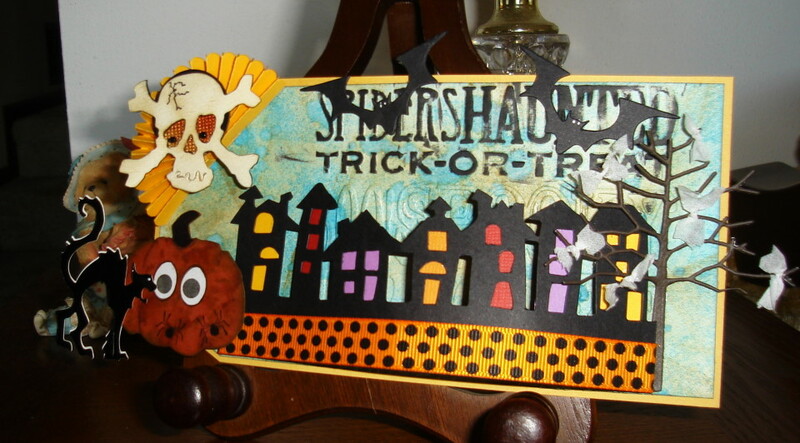 Oh this is wonderful fun, I love the pumpkin. I love this little tag - gorgeous colours!